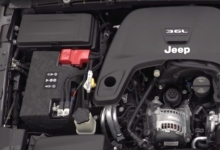 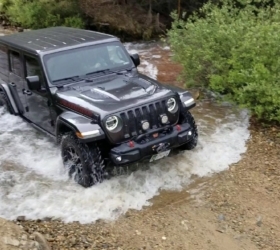 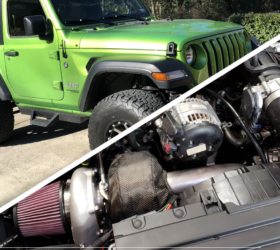 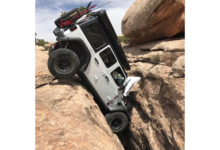 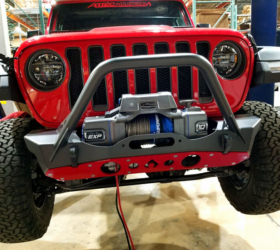 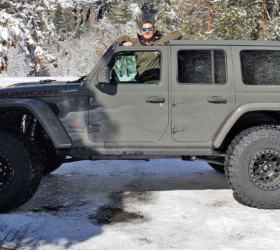 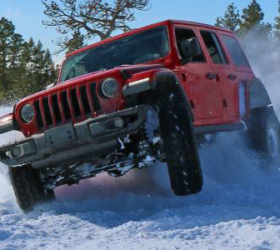 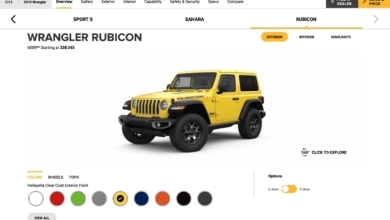 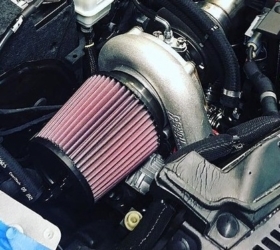 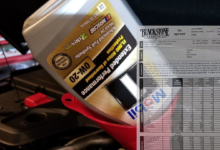 FCA has confirmed there are already over 200 JL Wrangler prototypes that have been built for various testing purposes and these recent photos capture the latest stage of the next-gen Jeep Wrangler’s slow but steady tease. 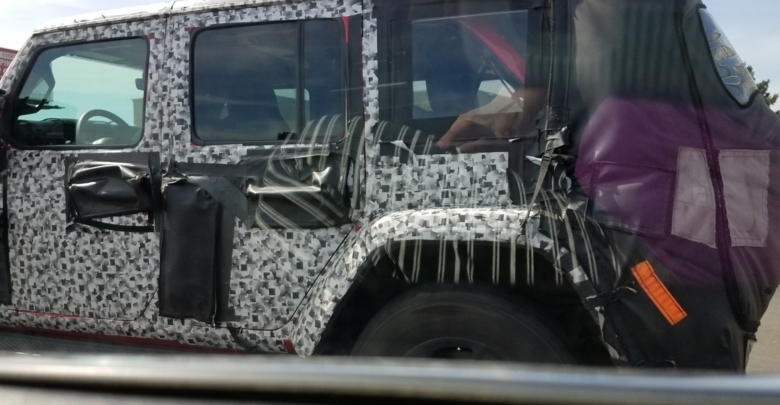 These images provide our first glimpse at the body-color painted roll cage visible through the rear-side windows of this red, but still heavily camouflaged 2018 Jeep Wrangler Unlimited while it was being driven on the freeway. 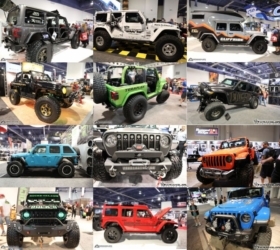 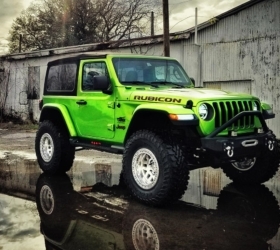 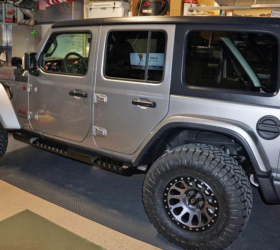 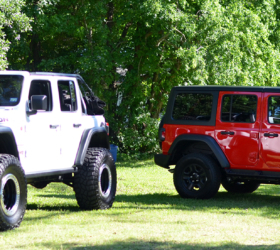 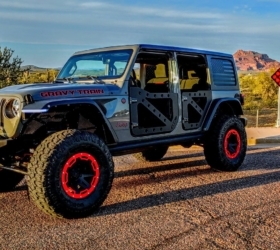 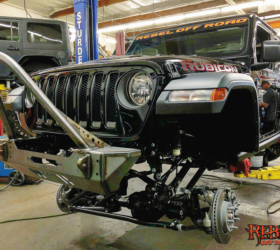 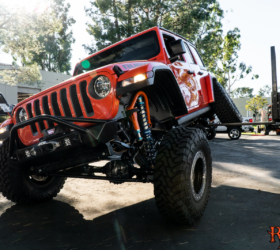 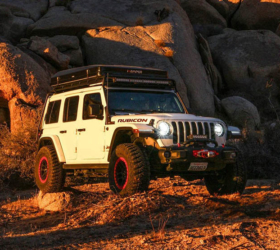 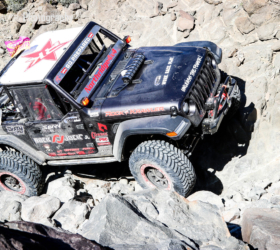 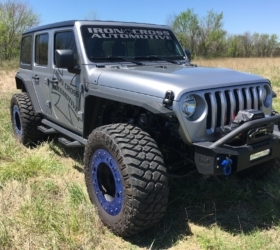 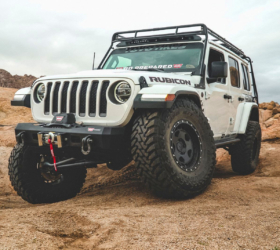 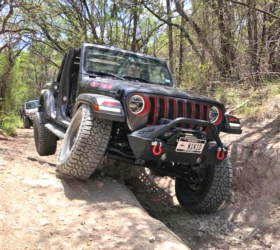 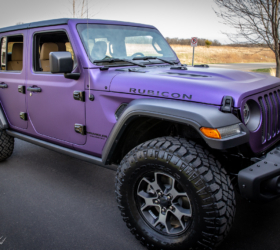 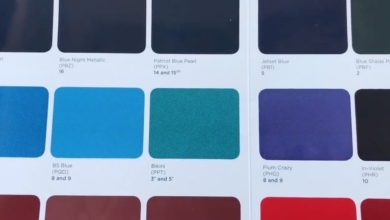 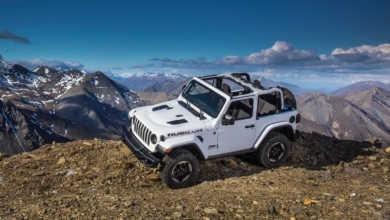 It remains to be seen whether all JL Wrangler models, or only the higher trims, will come with a painted roll cage. 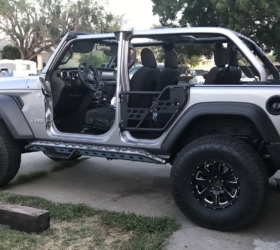 The photos also give us another peek at the underside of the roof which show the overhead console, new roof latches and redesigned sound bar cross-member. 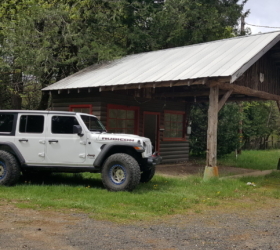 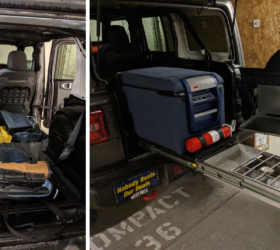 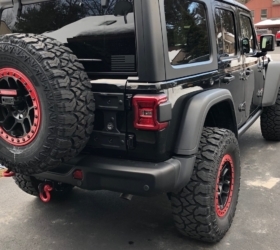 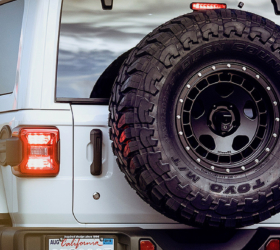 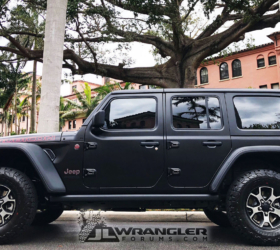 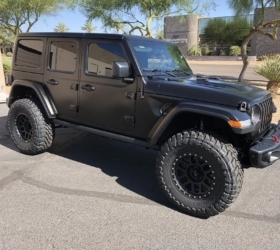 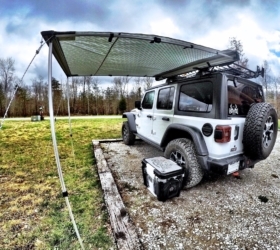 Check out these latest 2018 JL Wrangler spy photos in our forums.